Earth First! seeking to reform logging practices through peaceful protests and supporting a voter initiative in the summer of 1990? Or was it a violent environmental group that spiked trees, downed power poles, and did other "monkeywrench" guerrilla acts to harass -- and maybe injure or kill -- loggers? The jury in the trial of Judi Bari vs. Earth First! heard two wildly different versions of events leading to the car bombing of Bari and Darryl Cheney on May 24, 1990. Walter Hemje, who was not present in court for the opening statement due to a health problem. He became the FBI case agent and principal investigator for the Bari case. Sher emphasized the FBI itself is not on trial. Only six individual agents are on trial, Sher said -- six dedicated public servants protecting us from terrorism. On the day of the Bari bombing, Frank Doyle was sent to the bomb scene where he took charge of organizing the team collecting evidence. Stockton Buck was also at the scene and worked with Oakland Police Department (OPD) evidence technician Michelle Gribi to collect evidence from the bombed car itself, which took up most of the afternoon. That evening, Reikes, Doyle, and Sena met with OPD investigators and gave them a briefing about Earth First! and what the FBI knew about the group and Judi Bari and Darryl Cheney. Later that evening, FBI agents helped OPD officers, aided by an assistant D.A., in drafting an affidavit in support of a search warrant for Bari's and Cherney's homes. Then the FBI provided a helicopter to take the search team of FBI and OPD officers to conduct the searches, working overnight and into the next morning. Agents also looked into Bari's and Cherney's movements the night before the bombing. Some of Bari's associates refused to talk to the FBI on advice from Bari attorney Susan Jordan. A week after the bombing the "Lord's Avenger" letter was received by the Santa Rosa Press Democrat. The FBI obtained the letter which claimed credit for the bombing, and it was sent to their lab for analysis. The lab determined that the writer accurately described the bomb used on Bari, as well as a similar bomb which had failed to fully explode at a Louisiana Pacific lumber mill in Cloverdale two weeks earlier. The FBI deduced that the author of the letter either built the two bombs or had a close connection to the bomber. Sher said the FBI investigated the Bari bombing -- or, at least, as best they could. Also during the summer of 1990 they had other important duties, such as preparing for Operation Desert Shield. Leads were followed as far as they went, Sher claimed, but the victims and their supporters were unwilling to assist the investigation. During Sher's statement, it came out that the FBI assigned three different chief investigators to the Bari case in rapid succession over the first few months. Some trial observers suggested that was "planned unaccountability" by the bureau. Bee said on the day of the bombing, Lt. Sims assigned Sgt. Sitterud to the bomb scene, and sent Sgt. Chenault to Highland Hospital where the victims had been taken. Bari's car had rolled a block after the explosion, scattering debris and evidence over some 300 ft. before coming to rest on the wrong side of the street, up against a pedestrian guard rail. Sitterud worked with FBI agent Doyle at the scene. Sitterud had never heard of Earth First! Bee said, but was told by the FBI agents that the victims were connected to Earth First! Sitterud had little bomb experience, according to Bee, but he knew that Doyle was highly qualified, so he relied on what Doyle said. They learned of the FBI's claimed informant tip that two Earth First! leaders were planning to go to Santa Cruz for an action. They decided to arrest the pair and got the D.A. 's office involved. Deputy D.A. Orloff, who is now the Alameda County D.A., revised and edited Doyle's language that Sitterud had put into the search warrant affidavit. The D.A. wanted to delay formally charging Bari and Cherney to see what the FBI lab could find out about the physical evidence. 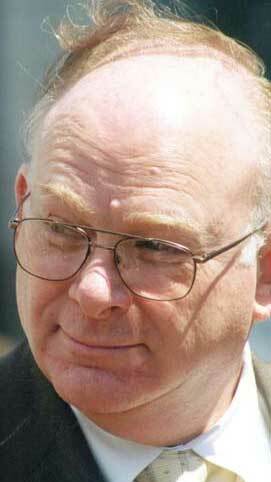 Then FBI lab bomb expert SA David Williams came to Oakland to inspect the bombed car. Williams told them that the bomb was hidden under the seat after all, but that some nails taken from Bari's home during the first search matched nails from the bomb. So OPD decided to get a second search warrant to look for additional materials from Bari's house. Ultimately, no charges were ever filed against Bari and Cherney. But Bee pointed out that the standard of proof for arrest is "probable cause," while the standard for charging someone of a crime is "beyond a reasonable doubt." She summarized her statement by saying that what the Oakland officers did was reasonable and proper. Oakland firefighter Thomas Beard was the first emergency medical technician on the bomb scene. Under questioning by plaintiffs' lead counsel Dennis Cunningham, Beard said his station was two blocks away from the scene. He heard a boom and looked out to see a rising cloud of smoke. He and three other firemen ran to the scene to give assistance. He saw that the driver (Bari) was still in the car and he noticed that the top of the car was bowed upward. Cherney seemed coherent and responded to questions. Beard opened the left rear door, removed guitar and fiddle cases and debris and climbed into the back seat behind Bari. She was obviously in great pain, and he stabilized her neck and spine by hand to prevent further injury. He said Bari was having difficulty breathing, and asked him to recline the seat, which he did. Rescuers soon arrived with a "Jaws of Life" cutter to remove the pillar supporting the rear door. They did that to facilitate removing Bari from the car while she was strapped to a back-support board. Beard said that when it came time to lift Bari onto the board, he had to reach under her and disengage a seat spring that was snagged in her clothing or flesh. He wasn't sure which. Her clothing was shredded. Beard was cross-examined by junior counsels for the FBI and OPD. For Oakland, William Simmons asked Beard if he noticed anything about the back seat floor, and Beard confirmed that while he was behind Bari one or the other of his feet were on the pavement because of the hole in the floor. He couldn't recall if both feet could have been on the ground together. T. J. Roumph is a veteran Alameda County Sheriff's Detective assigned to the bomb squad. Questioned by Cunningham, Roumph said he was sent to the scene to see if assistance was needed. OPD Sgt. Kraft asked him to check Bari's car and two others that had been traveling with her for additional bombs, but none were found. He was shown photos of the scene, including close-ups of the drivers' seat. Roumph said the seat was heavily damaged, and there were nails stuck in the cushion. In his opinion the bomb was under the front seat, toward the back. When Sher cross-examined him, Roumph said he thought that possibly a portion of the bomb could have been visible. "We know you planted the bomb"
Shannon Marr was the next witness questioned by Cunningham. She met Bari and Cherney about two weeks before the car bombing at a Redwood Summer planning meeting "up north," where she and other members of Seeds of Peace discussed their offer to provide food and sanitation support. Seeds was a strictly nonviolent group that provided such support services and also gave nonviolence training. Marr said Redwood Summer was supposed to be -- and was -- a large nonviolent demonstration against the rapid, unsustainable rate of logging. It was patterned after Mississippi Freedom Summer of the civil rights movement. Several other groups, including Rainforest Action Network, had representatives at the meeting. There was another Redwood Summer planning meeting at the Berkeley Seeds of Peace house the night before the bombing. Bari and Cherney were there, among many others. Afterwards, Cherney slept there while Bari accepted the offer of a spare bed at the Oakland home of Seeds activist David Kemnitzer. The next morning Marr and Cherney drove to Kemnitzer's house where she, Cherney and Kemnitzer worked on a grant proposal for funding Seeds support for Redwood Summer. Bari and Cherney also rehearsed music for their planned concert and recruiting talk that evening on the campus of UC/Santa Cruz. After a couple of hours they decided to go back to the Seeds house to get Cherney's van and pick up the third member of their music ensemble, George Shook. Because Bari didn't know the route, Marr took the lead. Cherney decided to ride with Bari so they could talk about their plans. Then Marr made a sudden lane change and heard a loud explosion and smelled sulfur. In her rear view mirror she saw smoke and objects flying through the air. Marr -- who was only 19 at the time -- became emotional as she recalled the scene. She talked to Cherney, who said he was okay. She talked to Bari, who said she couldn't breathe and couldn't feel her right leg. When paramedics arrived, they told Marr to keep talking to Bari to comfort her. Once they had her stabilized, Marr started to leave to make phone calls and tell others what had happened. She told an OPD officer at the scene that she wanted to cross the street to get to her car. He told her "You're not going anywhere," and locked her in the back of a patrol car. He put the trunk lid up, which mostly blocked her view of the scene, but she was able to peek through the opening between the lid and the car body. After what seemed like a long time -- but probably wasn't -- another officer came and drove her downtown to the police station, telling her that she could make phone calls from there. Once there, however she was locked alone in a small, windowless room with only a table and three chairs, and some kind of recording device in the wall. After a seeming eternity, Sgts. Sitterud and Chenault came in, and she "started to talk incessantly," telling them everything she knew so they could solve the crime. She told them about the death threats Judi and Darryl had received. She told them about Judi's car being run off the road by a log truck the previous summer. She told them all about herself, Redwood Summer, Bari, Cherney and Earth First! For about an hour she talked and they took notes, but did not tape record her. Then they told her that they would like to consider her a witness rather than a suspect. Marr said Chenault told her, "We know you planted the bomb, and we want you to tell us about it." Marr said she crossed her arms and asked for a lawyer and a phone call. They told her she was a witness and had no rights. Marr began crying on the witness stand as she recalled pounding on the door and being locked in the room alone for several hours more. At one point, she said, Sitterud came back, saying: "What's the matter, little girl? Feeling guilty because you blew up your friend?" After about six hours in the room, they told her she was free to go. A friend took her to join her Seeds housemates, who had been rousted from their home by police and told they must stay away while their home was searched. When they returned early the next morning they found the police gone, their home ransacked, and the front door left wide open. Marr went to see Bari in the hospital, but found her asleep. Seeds and other people sat with Bari in the hospital around the clock to give her emotional support and watch out for her safety, since they knew a bomber was still out there. Maria Bee cross-examined Marr. She wanted to know more about Earth First! and its reputation. Marr said she had heard various things. There were rumors, and Earth First! had a reputation for property destruction. But she said Seeds had investigated and was satisfied that the Earth First! that Judi Bari and Darryl Cherney were part of was completely nonviolent, and she had told this to Sitterud and Chenault. On further questioning by Cunningham, Marr said Seeds would never be involved with a group that did property destruction. They would not risk the loss of their valuable mobile kitchen and other support equipment. They were informed and persuaded that Redwood Summer would be nonviolent. Seeds had people going to Redwood Summer planning meetings, and they reported back that it would be an incredible event that Seeds should be involved in. Marr had told the OPD interrogators all that, she said. But she saw their notes later (years later) and felt that they had left out a lot and pulled her statements out of context to make Bari, Cherney and Earth First! look bad. She had never heard of Bari or Cherney until a couple of weeks before the bombing. She had a vague idea about Earth First! as an "enigma." She didn't know how Earth First! was structured, but later met many in Earth First! during Redwood Summer. She reviewed the search warrant affidavit by Sitterud and found it to be inaccurate regarding what she had said about Earth First! By then she and other Seeds members had been working with Earth First! for two months and had first-hand knowledge they were nonviolent. Cunningham asked Marr if she recalled talking about the search affidavit during her deposition. She said again that the affidavit did not accurately reflect what she had said about Earth First! She said she told Sitterud and Chenault that Seeds' concern over the reputation of Earth First! was only at the beginning. By the time of the bombing, Marr had written three grant applications with them, and Seeds wholeheartedly supported Earth First! and Redwood Summer. Karen Pickett was the next witness. Pickett is director of Bay Area Coalition for Headwaters, a small environmental non-profit, and she also teaches at two colleges. She was questioned by Tony Serra, who asked why the redwoods should be saved. "I feel like I'm in church when I'm in the redwoods," she answered. "They filter our water and provide oxygen. A world without forests would probably be a world without people," she added. Pickett got involved with Earth First! in 1983, not long after it began. She had never heard of Earth First! when co-founder Dave Foreman came to the Berkeley Ecology Center, where she worked, bringing literature and t-shirts. She read the literature, and was very interested in the idea of biocentrism, the idea that all species have a right to exist. She found the idea eloquent. Pickett met Bari at her own 1988 wedding in a redwood grove in Canyon, California, where she still lives. (She didn't say so in court because she wasn't asked, but Pickett married Earth First! co-founder Mike Roselle, who also became founder of Rainforest Action Network and then Ruckus Society.) After meeting Bari, Pickett phoned her often and they became friends. She met Darryl Cherney about two years before meeting Bari and knew both of them well. Pickett went to Earth First! gatherings, and she filled the role of Earth First! contact for the Bay Area. She produced an Earth First! newsletter for the region. Pickett said Earth First! had changed a lot in the 19 years that she has been involved. It was very small and virtually unknown at first, and there was a lot of growth. Earth First! has no traditional organizational structure, no office, no officers, no hierarchy, no board of directors, and no membership. It's more a network of people with common interests and philosophy, a network for communications. It has local groups all over the U.S. In California in 1990 there were Bay Area, Los Angeles and Chico groups and individuals. Earth First! participants hold annual national gatherings in various places, and they are open to whoever wants to come. Issues are more discussed than decided at these gatherings. There are discussions about strategy and goals. There are occasional regional Earth First! gatherings as well, for example the Pacific Northwest, including California, Oregon and Washington. Asked what is the procedure for deciding things at these gatherings, Pickett said that mostly information is simply shared by members of the group. There is no voting, but rather there is a lot of discussion until people reach agreement. Pickett knew of Bari and Cherney as part of Earth First! groups in Mendocino and Southern Humboldt counties. Asked if Bari and Cherney were Earth First! leaders, she said they both functioned as spokespeople because they were articulate, intelligent and presented issues well. They performed songs with environmental themes, putting their message to music and performing at Board of Forestry and Board of Supervisors meetings. They also performed and spoke at community meetings. Pickett said the decision process in Earth First! was in no sense covert. She said Earth First! activists are volunteers in association for a campaign. Money raising is for campaign costs, not salaries. Pickett has done direct mail fundraising. Money allocation is by need, decided by consensus on proposals submitted by committees. Turning to Redwood Summer, Pickett said its goal was to slow logging to sustainable levels, not to stop all logging. Georgia Pacific, Louisiana Pacific and Pacific Lumber had increased the rate of logging tremendously since buying out local timber companies. There was a timber reform initiative on the November 1990 California ballot. "We felt a need to slow the logging and campaign to let the public know about the problem," Pickett said. Pickett explained that Redwood Summer was a nonviolent campaign of civil disobedience. When the bombing happened, discussions about Redwood Summer had been going on for several months, and direct planning for it had been going on for about a month. The outreach campaign included distributing posters, newsletters and other mailings, and doing road shows with music and talks, especially on college campuses. It was called Mississippi Summer in the California Redwoods at first, Pickett said, because it was patterned after Freedom Summer of the sixties. The idea was to make it a mass campaign, to draw people from out of state -- there were too few activists in rural Northern California to mount a large-scale protest. Judi and Darryl were both putting out mailings, and both did road shows, especially Darryl. There had been several weeks of road shows prior to the bombing. Redwood Summer was very explicitly nonviolent, and it said so in all literature and mailings. There was a nonviolence code, and trainings were required of all who wanted to participate in Redwood Summer actions. The idea came from the peace movement folks. "Judi was a broken record on the subject," Pickett said. She was the biggest proponent of doing Redwood Summer on a mass scale. She wanted to show people how powerful nonviolence is. Pickett said she was familiar with the tree-spiking issue. It was explicitly renounced at a press conference that Judi Bari and Darryl Cherney held in the spring of 1990. When a written statement announcing their renunciation of tree-spiking was shown on a big screen in the courtroom, Bari and Cherney were seen to be the first two signers among a list of Northern California and Southern Oregon Earth First! spokespeople. Pickett said the statement went out to the media and to Earth First! groups all over the region. She said tree-spiking was discussed but not widely practiced by Earth First! There was some controversy within Earth First! about whether renouncing tree-spiking was necessary or desirable. But Bari was a persuasive opponent of tree-spiking or any kind of equipment sabotage that could hurt workers. Judi Bari was also very active in an outreach to timber workers. There had been many incidents of violence against environmentalists in Northern California, and there was discussion of how the group could de-escalate that, Pickett said. Pickett saw written death threats around May 24, 1990. She saw phony Earth First! press releases and flyers portraying Redwood Summer as a violent campaign. She knew these were not genuine. It was completely counter to what Earth First! was saying. Darryl's name was misspelled on one of them. Another supposedly came from an Earth First! group in a town where there was none. Pickett said these phony papers came out at the same time that Bari began receiving death threats. Serra showed her copies of fake Earth First! papers and she identified them as the ones she had seen in 1990. They were admitted into evidence. Pickett attended the meeting at the Seeds of Peace house the night before the bombing. Also at the meeting were folksinger Utah Phillips, Bari, Cherney, Shannon Marr, and about 15 people in all. The meeting was over about 10 PM and Pickett left. On May 24, 1990, the phone rang; it was Pickett's roommate relaying information from the Mendocino Environmental Center. A bomb had exploded in the car with Bari and Cherney. Pickett went to the hospital and talked to staff, seeking to find out what happened to her friend. She asked to see Bari, but staff refused: Bari was in surgery and intensive care. She was not allowed to see Cherney either. There were cops around. Pickett was the first friend of Bari's to reach the hospital, and hospital staff introduced her to the FBI agents. They wanted to talk to her, and she was taken to a hospital administrator's office. Four or five FBI agents came and went but she didn't demand IDs or ask their names, and she cooperated to an extent. She told them that Bari and Cherney had received threats. The agents didn't take notes or probe for details. The FBI wanted to take her downtown to OPD headquarters; Pickett said she wanted to stay at the hospital near Bari, and asked if she was under arrest. She was warned that would be arrested if she didn't go willingly, so she complied. Pickett was locked in a room at OPD for two or three hours, then told her she could leave. She was able to identify Lt. Sims by the business card he handed her as he escorted her out. She asked him when she could pick up Cherney. Sims told her that Bari and Cherney were going to be arrested for transporting explosives. "It seemed so unbelievable that I asked him to repeat it," Pickett said. Pickett joined her friends and phoned Sims for information hourly. He told her Cherney was not being released yet. In the morning she tried to post bail and was told it was $3,000. She was able to raise that amount from donations and went back to the bail window, but was told it had been raised to $18,000. She raised that amount, and over 100 people donated, but when she went to the bail window, the bail had been raised to $100,000. Pickett couldn't raise that amount on the same day, but got Cherney out with a bail bond soon afterward. She kept trying to visit Bari in the hospital, but was told only attorneys were allowed to see her because she was a prisoner. Five days later she was the first non-attorney to visit Bari, getting in as a paralegal with Bari's attorney Susan Jordan. Bari was in the Intensive Care Unit and hooked up to an IV drip. Clearly, she was very seriously injured. She hardly moved, and was quite weak but awake. When Serra asked if these events impacted Bari and Cherney's participation in Redwood Summer, Picket replied, "Definitely!" But there was a relevance objection to the line of questioning, and the judge clarified for the jury that the only relevance would be if these particular defendants had impacted the pair's participation, not the bombing itself. This ended Serra's direct examination of Pickett. Dennis Barghaan cross-examined Pickett for the federal defendants. Q: Is there something called the Earth First! Journal? Q: Did Darryl Cherney and Judi Bari contribute articles to Earth First! Journal? A: No, it consists of reports about activities that may include monkeywrenching. Q: Were Judi Bari and Darryl Cherney the leaders of Northcoast Earth First!? A: No, they were media contacts. I didn't say they were "the leaders." Q: Are there rules in Earth First!? A: No, there are principles. Earth First! is a nonviolent movement. Q: How can Earth First! be nonviolent if it destroys property? A: It's nonviolent if it doesn't injure people or other living things. This ended the first day of testimony, but when the jury returned the next morning, Barghaan continued by asking for details about what happened when she went to Highland Hospital on the day of the bombing. Pickett admitted she told hospital staff that she was Judi Bari's sister. Q: Bari and Cherney couldn't prevent other Earth First! groups from tree-spiking, right? A: They could discuss and persuade. Barghaan showed Pickett one of the fake Earth First! press releases and asked her if the graphic of a fist at the top was an Earth First! logo. Pickett said it could be considered one. Barghaan seemed very pleased, apparently believing he had scored a point. Next Maria Bee cross-examined Pickett for the Oakland defendants. Pickett reaffirmed that Earth First! is not known for tree-spiking and is nonviolent. She said the Ned Ludd feature in Earth First! Journal consists of news stories from across the country. Bee handed Pickett a copy of a page from Earth First! Journal. Pickett said the page appeared to be a photocopy of a page from Earth First! Journal, but that she had never seen it before. Nevertheless, the judge allowed the copy to be admitted in evidence. Serra had a few more questions for Pickett. What about telling hospital staff she was Bari's sister? Pickett said that yes, it was a misrepresentation, but she knew that all of Bari's family was far way in Mendocino and in Maryland. She felt it was right for a close friend to be there. When asked about it by the cops, she had admitted she was not Bari's sister. Gravely injured talked of the "Fort Bragg Nazis"
The next witness was the late Walter Ludwig, a deceased former Oakland Police officer. The judge explained to the jury that when a witness is unavailable at trial, their deposition testimony can be received in evidence. Such testimony was given under oath, just as witnesses who appear in the courtroom. The deposition was read aloud for the jury. Ludwig met the ambulance bringing Judi Bari to the hospital. His boss, Sgt. Kelly of the OPD assigned him to guard a prisoner, Judi Bari. He placed Bari under arrest at 3PM under orders from "higher up," and she was booked in absentia while she was in surgery. He prepared a form called a Consolidated Arrest Report, or CAR, which showed two Penal Code sections violated. The first one is written in Ludwig's handwriting, but was crossed out, and the code section that replaced it is not in his handwriting. Although it seemed obscure, the point about the Penal Code section, it was later revealed, was that the crossed out section was the one prohibiting possession of a booby trap, a destructive device triggered by the action of its victim. The section which was written in later is for transportation of an explosive device. The appearance of the booby trap section on the arrest report only three hours after the bomb explosion may indicate that investigators already knew that the bomb was motion-triggered -- or it may have been a simple mistake, as Sgt. Sitterud would later claim in his testimony. Ludwig said he talked with Bari in the hospital, and she told him she had received death threats and talked of the "Fort Bragg Nazis," and named Jack Azevedo and Charlie Stone, two individuals in the Fort Bragg area whom she suspected might be behind the bombing. Ludwig had taken the statement from Bari on his own initiative; he saw that Bari was gravely injured and he thought it might be a dying declaration. He reported what she said to Sgt. Kelly. Paul Slivinski was the next witness. Under Tony Serra's questioning, Slivinski said that on May 24, 1990 he was an OPD officer assigned to Highland Hospital. At 4PM he was told to guard a prisoner, Darryl Cherney. He wasn't sure he heard the word "prisoner," but he was sure his assignment was to guard Cherney, and the word "guard" implied that he was in custody. He would not have allowed Cherney to leave. Cherney had a conversation with Slivinski, and one thing Cherney said was, "It's a frightening thing to have someone try to kill you." Slivinski was with Cherney for an hour to ninety minutes while waiting for medical clearance from the hospital. He could see that Cherney was shaken up and genuinely frightened. Slivinski took Cherney out of the hospital through a side exit to avoid contact with the public and media, as he was told to do. Under orders from defendant Sgt. Sitterud, Slivinski took Cherney to the OPD homicide division and placed him in an "interview cubicle." He wrote a supplementary report after delivering Cherney to OPD, and Sitterud told him to leave some items on the form blank, to be filled in later by others. When shown the form, Slivinski said he was not the one who wrote in "poss. of explosive device" as the offense, nor did he fill in the code section for that. The complainant's name on the form was Sitterud, the person who told Slivinski to leave the items blank. Under Oakland cross-examination, Slivinski agreed that the main arrest report would be by the officer on the scene and that it was commonly done to leave blanks on the arrest forms to be filled in by others. He said OPD policy for transporting arrested persons was to handcuff them behind their back, and Cherney was not handcuffed. They entered the OPD station through the back door, as he was instructed to do to avoid the public. With these last few witnesses, the plaintiffs established that within three or four hours after the bomb exploded both Bari and Cherney were prisoners under guard and not free to leave, meeting one definition of arrest. As would be revealed later police were still picking up evidence off the street at that time. None of the evidence had been analyzed, and it would be over a week before any of it was taken to the FBI crime lab. An arrest requires evidence, not mere suspicion, as Serra would point out. These witnesses also established that both Bari and Cherney told police immediately that they had received death threats prior to the bombing, and Bari named a group and two specific individuals whom she thought might have bombed her. The next witness, Betty Ball, was questioned by Dennis Cunningham. With her husband, Gary Ball, Betty was co-founder and co-coordinator of the Mendocino Environmental Center (MEC) in Ukiah from its founding in 1987 until the late '90s. She had been involved in environmentalist activity since long before moving to Ukiah. She met Judi Bari within weeks of opening the doors of the MEC. They met at a Central America demonstration at the Mendocino County Courthouse across the street from the MEC, and they worked together from then on. Forestry and logging issues were the main focus of the MEC from its beginning. The Mendocino Earth First! group was just beginning in 1987, and met frequently at the MEC. It was just one of many environmental and social justice groups that worked out of the MEC. Also using it were several neighborhood and watershed groups, a pesticide interest group, and many others. 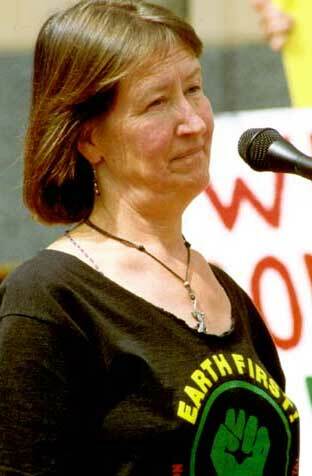 Betty Ball was "definitely" involved with Earth First! and Darryl Cherney often came down from Humboldt County for Earth First! meetings and activities at the MEC. The main activity of Earth First! was organizing demonstrations in the field and trying to make the public aware of forest issues. Ball worked with Bari in reaching out to timber workers. Redwood Summer was conceived when a person came to the MEC and suggested modeling a redwood campaign on Mississippi Freedom Summer. It started in January or February 1990, and there were public announcements at that time. The goal for Redwood Summer was to educate and do outreach, to do demonstrations to slow the rate of logging on private lands in Northern California. There was a greatly increased rate of logging on corporate lands in particular -- some called it liquidation logging. Ball was shown an item and identified it as a leaflet urging people to come to Redwood Summer. Ball said Judi Bari created it in April 1990, and it was sent out to a mailing list. The leaflet was admitted into evidence. Its message was to explain the situation, urge people to come, to tell people what to bring and what not to. Ball identified another leaflet as one of the earliest for Redwood Summer, also designed by Judi Bari, and bearing the heading "Mississippi Summer in the Redwoods." The leaflet announced a mid-March 1990 Redwood Summer organizing meeting at the MEC. There was a strict nonviolence code, Ball said, and the word nonviolent was on every piece of literature put out about Redwood Summer. The code was adopted by consensus right after the March 1990 meeting. There was controversy in Earth First! over rejecting property damage, Ball said, "but we wanted it clear that our promise was: We will not damage any property." Ball personally observed that there was growing tension, hostility and assaults against the environmentalist community. The group was concerned, and they decided to meet with loggers regarding plans, issues and tensions, and to work toward agreement about what loggers would do and environmentalists would do. Bari and Cherney were central to those efforts, Ball said. Bari did outreach to workers, emphasizing the nonviolence code. Death threats were received at the MEC, including some addressed to Judi Bari and some to Betty Ball herself. There was a postcard saying "Get out and go back where you came from. You won't get a second warning." There was the rifle scope crosshairs threat drawn over a photo of Bari, and Ball was also in that photo. It was left attached to the door of the MEC. Both these threats were admitted into evidence. Ball told how she and Bari went to the sheriff's office to show the threats and ask for investigation. The deputy in charge told them they didn't have the manpower to investigate threats. "If you turn up dead, then we'll investigate," he told them, according to Ball. Ball was at the MEC on May 24, 1990 when she received a call from Highland Hospital in Oakland telling her Bari's car had been bombed and Bari and Cherney were in the hospital. She was the first person notified, and she immediately began phoning others and organizing support. The bombing changed plans for Redwood Summer. The workload increased enormously. Bari was totally taken out of Redwood Summer until August, and she had been one of its principal organizers. Cherney came back into action sooner. Ball said the effect of the charges against Bari and Cherney was to frighten and confuse people. The Sierra Club quit meeting at the MEC and withdrew all its literature. The effect continues to this day, even in Colorado where she now lives, Ball said. She still hears people express suspicion that Judi Bari and Darryl Cherney were knowingly involved in the bombing. Ball was contacted by some of the defendants in this case. SA Stockton Buck came to the MEC several times. Ball agreed to be questioned by him with a lawyer present. An appointment was made with lawyer Susan Jordan to be there with Ball and Buck, but Buck canceled the appointment. Ball tried to reset the appointment later, but Buck canceled again. Ball had information she thought would help investigators, including details of death threats and the level of animosity directed at Bari and Cherney by timber supporters and allies. Ball later said that the reason she decided not to talk to the FBI without a lawyer was that her close friend had been wrongly accused. It was a question of trust; she also did not want what she said to be misconstrued by the agents. Ball said she turned the originals of the death threats over to attorney Susan Jordan to be turned over to the police or FBI investigators. In cross-examination by Sher, it came out that Buck's duties related to the building Arabian Gulf crisis were the reason he had canceled his appointments to talk to Ball. The nonviolence code shown to the jury earlier applied specifically to Redwood Summer, not to Earth First! generally. Sher showed a small version of an "Earth Night Action Group" poster prepared by Cherney in early 1990. Ball agreed that it urged people to take action for the earth at night. Sher asked if "night action" was code for monkeywrenching. Ball said no, she had never heard it called that. In cross-exam by Maria Bee for the Oakland defendants, Ball confirmed that she gave a TV interview to Steve Talbot, who produced a documentary about the Bari bombing. Ball confirmed that she said that Redwood Summer received support from activists across the country who might not have come if not for the bomb attack. Ball said her definition of direct action did not include property damage. She said the term was used for road blockades, tree-sitting, yarning, or a demonstration at a public agency. It definitely did not include tree-spiking. Ball said she did know of a case where a mill worker was injured by a spiked log. When Cunningham asked Ball more questions, it came out that she met the sawmill tree-spike victim, and he did not blame Earth First! -- he blamed Louisiana Pacific for not providing safety shields and for running a saw blade that was already damaged and unsafe. She also said that night action can be nonviolent, e.g. blocking a logging road with a dead car. It's true Redwood Summer got support in light of the bombing and false charges, but it would have been much more successful without the bombing and with Judi Bari's participation. Ball also said the bombing and false charges affected Proposition 130, the logging reform initiative. The timber industry falsely branded it "The Earth First! Initiative," and it lost by a narrow margin. Sher again cross-examined Ball, challenging her about Earth First! being nonviolent. He showed her the tree-spiking renunciation letter and got her agree that it contained language acknowledging that not all Earth First! groups agree, and they reserve the right to sabotage equipment. When Cunningham again questioned Ball, she affirmed that "our group definitely renounced tree-spiking. We issued a press release. It was not just for Redwood Summer but applied in general." She pointed out that the tree-spiking renunciation was reported by the press. Gary Ball was next to testify. He said he disliked the Earth First! Journal early on and had stopped reading or contributing to it. He disagreed with the journal's "nonchalant attitude about monkeywrenching." He was upset by articles in the Journal. He testified that the entire Mendocino Earth First! group disagreed with the tone and content of the Journal. He testified that Redwood Summer and environmental activists in general encountered opposition and hostility in rural communities in Northern California. The timber industry told workers that the enviros wanted to take away their jobs, Ball said. The bombing had a devastating effect on organizing and plans for Redwood Summer and on relations to other environmental groups. Ball was chairman of the Redwood Chapter of the Sierra Club, a large chapter with some 10,000 members over a large area of Northern California. But after the bombing and charges against Bari and Cherney the Sierra Club ordered that there were to be no more meetings or Sierra Club literature at the MEC. The effect was to isolate Redwood Summer supporters from the rest of the environmental community. He felt it was cowardly of the Sierra Club. Ball also worked on the Prop. 130 initiative campaign, and he said Bari and Cherney were very supportive of it. The bombing and charges gave the timber industry a chance to tie Prop. 130 to people who supposedly used bombs, and helped turn the public against it. In cross-examination by Barghaan, Ball said it was true that the Sierra Club didn't endorse Redwood Summer even before the bombing. He affirmed that the local Earth First! group agreed with his stance about nonviolence and no sabotage. It was true that Judi Bari and Darryl Cherney contributed to the Earth First! Journal but they did not agree with its stance on monkeywrenching. Barghaan asked Gary Ball if he had gone to Judi Bari's house after the bombing and removed evidence. Ball answered no, that he had gone there to get Redwood Summer organizing materials because Judi Bari was unable to continue organizing, so someone needed to take over her responsibility and needed her materials. In some final questions by Dennis Cunningham, Ball said that the local group discussed dropping the Earth First! name due to disagreement over the sabotage issue. After debate, they decided to keep the name, but to be their own group with their own principles. This concluded testimony from a set of witnesses who were in a position to know about the nature and values of Earth First! as well as Redwood Summer, Judi Bari and Darryl Cherney, their stance regarding sabotage and violence, the fact that there had been increasing hostility and violence directed at environmental activists, and the specifics of some of the death threats they received. Coming up next: Police and FBI witnesses, including the defendants.